Local transportation routes to businesses and citizens significantly disrupted—for example the CRC plan calls for SR 14 to be cut off from I-5 for at least 2 years. High tolling costs to use the new proposed bridge—and planned to rise over time! Initially estimated at $2000 per year for commuters. 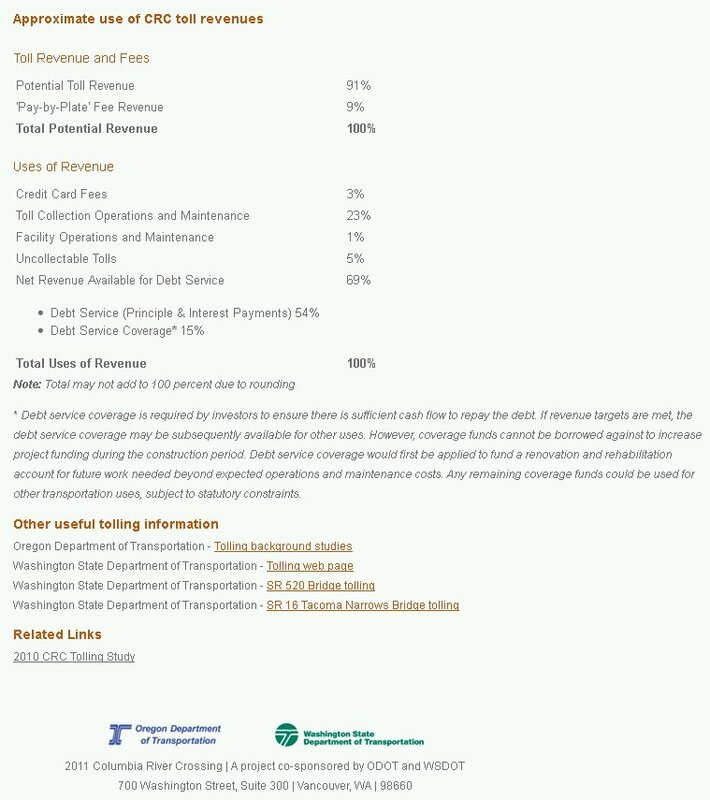 Oregon’s plan to toll “its share” of the costs will equate to SW Washington commuters paying for Oregon’s interchanges. Many C-Tran bus routes between Vancouver and Portland will be eliminated and C-Tran’s neediest riders will be significantly impacted. When light rail increasingly fails these bus routes do not tend to be easily reinstated as resources are consumed by propping up the light rail. A persistently poor economy has many businesses already weakened—and many will simply not survive this proposed CRC project. 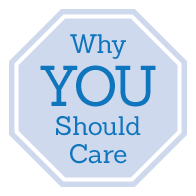 The overall degradation to quality of life and safety is very serious to any business or citizen that exists within a few miles of the project center. Local jobs not created. It appears a vast majority of jobs will be tied to unions—with existing or preferred sources for labor. And the job-killing nature of isolating downtown business would arguably turn this project into a net loss of jobs. The CRC plan does not create as many jobs as claimed. The “average annual regional jobs” created is not 20,000, but actually 1,907 temporary jobs. Problems St. Paul, Minnesota are having with their first year of light rail construction. No mitigation assistance program for businesses impacted by construction. Seattle did it – Why can’t we? Resolution M3663 “Attachment A” that protects downtown businesses has been abandoned..
Light rail eliminates about 125 on-street parking spaces – cost to replace with structured parking ranges from $35,000 to $50,000 per space. CRC has three park-and-ride garages slated to be built in downtown Vancouver for light-rail commuters – at $158 million to $176 million. 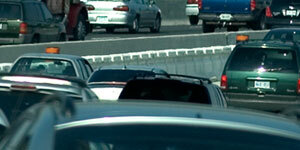 The CRC estimates $169,300,000 in tolling revenue for the first year. Toll estimates could be high as $8 each way. Tolling has exorbitant cost and privacy issues. Toll revenue projections are wildly optimistic.